Karen Hines's genre-defying 4-person play with songs has been presented at Toronto's Factory Theatre and Tarragon Theatre, and was a multiple Dora, Chalmers and Canadian Comedy Award nominee, as well as winner of the 2007 Alberta Writers Guild Award for Drama. A deliciously dark slice of urban whimsy ... who else [but Hines] could take the horrible image of birds crashing into mirrored skyscrapers and plummeting to their deaths and imbue it with such melancholy charm? 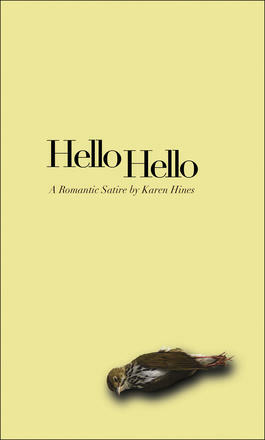 With influences as diverse and seemingly mismatched as Greek tragedy and mid-century Hollywood musicals, Karen Hines's latest satire is a bizarrely compelling work.